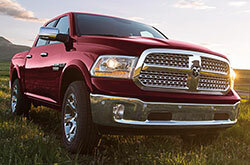 Learn more about the Ram 1500, 2500 and 3500 in an informative review composed by Airpark's expert automotive writers. 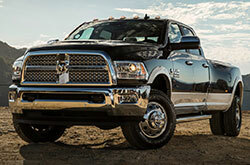 When you click "research" below you'll find details about Ram's truck body styles, trim levels, pricing, cargo space, towing features, powertrain specs and much more. If you're looking for a truck that offers hardwearing utility, we're confident that a Ram would be the best choice for you, and as a show of our confidence we've included a Ram VS Toyota, Ford, GMC, Nissan, Honda, Cadillac and Chevy truck comparison feature right on our website. Just click "compare" below to access it! Using this tool you can read Ram 1500 VS Ford F-150, Chevy Silverado, GMC Sierra, Toyota Tundra and Nissan Titan comparisons, as well as others. Scroll down to begin! Airpark is proud to offer one of the finest selections of heavy-duty trucks for sale near Phoenix, Arizona. If you're in need of a work truck or a pickup for recreational use, please contact us today to schedule an appointment for a test drive. The Ram Heavy Duty offers segment-leading torque, a long-term powertrain warranty and best-in-class towing, with over 6,000 lbs. more capacity than its competitors - and this is only one of the trucks that you can test drive when you visit us! For information about the Ram 1500, 2500 and 3500, click "research" above to read a comprehensive review packed with detailed vehicle specs and highlights, including information about the Ram's powertrains, cargo space, safety technologies, cabin amenities, towing features and more. 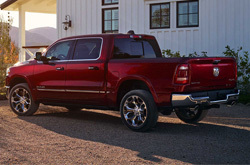 Or, click "compare" to read comparisons in which the Ram 1500 is assessed shoulder to shoulder against competitors from Ford, Chevy, Honda and other truck manufacturers; this includes Ram 1500 VS Ford F-150, Chevy Avalanche and Honda Ridgeline comparisons, along with several others. If you've been searching for Ram truck sales in Phoenix, Scottsdale, Tempe, Mesa or any other local city, make sure you visit Airpark at 7801 E. Frank Lloyd Wright Blvd! We look forward to helping you find a truck perfectly suited for your unique needs.